As the year is nearing its end, the team at IAM Sold Property Auction would like to wish all their clients a happy Christmas and prosperous New Year as they review their year of auctions in 2018. The auction team are celebrating an impressive run of 15 successful public auction events across Connacht, Munster, and Leinster. In addition to the public auction, the company's online auction platform has gone from strength to strength in 2018 with hundreds of sales taking place on the platform. The properties offered at the auctions include family homes, investment properties, commercial buildings, and development sites, along with several successful sales of agricultural holdings. IAM Sold Property Auctions is now one of the biggest auction houses in Ireland and the UK, selling more than 3,000 properties in 2018. Company directors Patrick Folan and Patrick Convey announced a 92 per cent sold rate on properties successfully sold in Ireland alone this year. 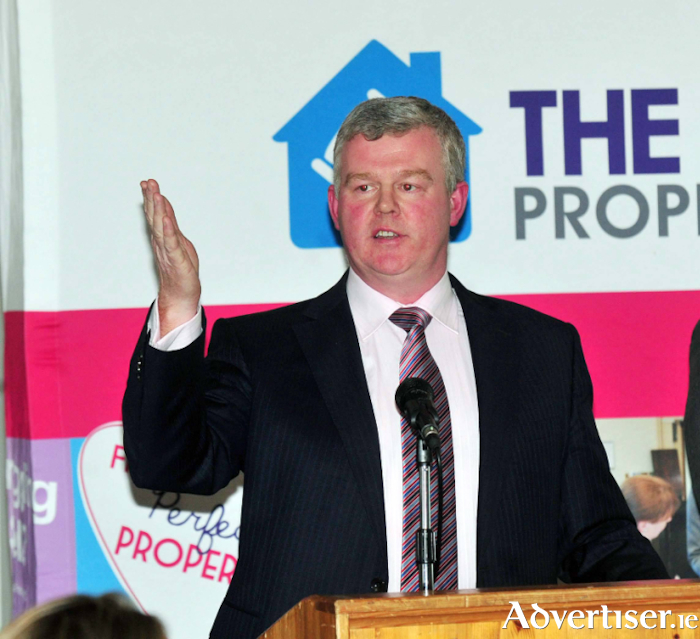 The Connacht Property Auction held five public auctions in The Menlo Park Hotel, Galway, this year with an overall sale rate of 92 per cent. The auction team have successfully sold properties in all counties across Connacht and continue to offer a broad variety of properties. A selection of these recent sales includes an excellent investment property in Newport, Co Mayo. Nine apartments in Lios Mor, Newport, were brought to market in partnership with O’Malley Properties and attracted strong interest in the weeks leading up to the auction. Bids came in quick succession for this investment portfolio before the gavel was dropped to the highest bidder at €400,000. In Galway city, the auction team successfully sold a two bed semidetached mews residence located in Ballybane. The property was offered for sale in partnership with RE/MAX Property Experts Galway and offered an excellent opportunity for first time buyers or investors. The property received strong interest in the lead up to the auction and sold for €100,000. In partnership with Property Partners Emma Gill, a large four bed detached family home was offered for sale in Tourmakeady, Co Mayo. This stunning property overlooks Lough Mask and the property received strong interest leading into the auction event before selling for €285,000. In Pontoon, Co Mayo, a spacious three bed detached house sold in partnership with Gerry Rowland of The Optimum Group. Bidding was brisk with a number of different parties eager to secure this well located property, and after more than 30 bids the hammer fell on a final bid of €172,000. Meanwhile in Leitrim, the auction team offered a four bed bungalow in Carrick-on-Shannon to the auction floor in partnership with Gordon Hughes Estate Agents. The property at Hartley Court received a number of bids and the successful bidder secured the property at €100,000. Elsewhere in the country, the Munster and Leinster auction teams were also achieving strong results in their various areas. Both held five public auctions throughout the year and finished with an impressive 91 per cent and 93 per cent sold rates respectively. IAM Sold Property Auction is continuing to take entries for its online auctions which are ongoing and has further public auction events planned for 2019. With a success rate of more than 90 per cent in 2018 and 2017, the auction provider will be aiming for similar results in 2019. The next online auction will take place on January 31. The next public auction will be held on February 21 in The Menlo Park Hotel, Galway.